The dream of becoming your own boss may be at the top of your list, but achieving that goal can be… difficult. The reason so many people fail in their entrepreneurial pursuits is that there is no clearly defined road to success: the steps are highly dependent upon what type of industry you are pursuing or even just having enough capital in place to start the business in the first place. You will have to understand some finances no matter what type of company you run. Dumitru Midon, CEO of TrafficBox considers accounting important and urges all potential entrepreneurs to take at least a few accounting courses. Relying on someone else for all of your accounting needs can be costly and often unreliable. It can be difficult to find an accountant that is as cautious with your livelihood as you would be, and one accounting error can break a fledgling company. Keeping track of your own finances will ensure that you always know when and where your hard-earned money is spent. Again, there is really no need to undertake a full marketing degree just to become a successful entrepreneur, but it can benefit you greatly to understand the basics. Graeme Donnelly, the CEO of Rapid Formations says that knowing how to successfully market your business is the key ingredient to getting started and maintaining your clientele throughout the life of the business. No matter what business you choose to enter, economics will play a huge part. Understanding the ups and the downs of the economy is a useful tool to possess as economics is largely based upon trends and history. As we all know, history does repeat itself from time to time, and following the trends along with the trends expected to come will ensure that you maintain a leg up on the competition – keeping you in the game no matter what is going on in the world economy. Most businesses of any size will rely somewhat, if not solely, on computers. Depending on your chosen industry, it could be the life blood of your company. Taking a few classes in IT or computer science will not qualify you to completely break down and put together a computer from scratch, but it will show you what you need to know to maintain the device properly without calling in outside help from another source. Even though IT help may be a small portion of your business, it is often the smallest things that make or break a new company. There are a number of different avenues to take when you begin your entrepreneurial pursuits. 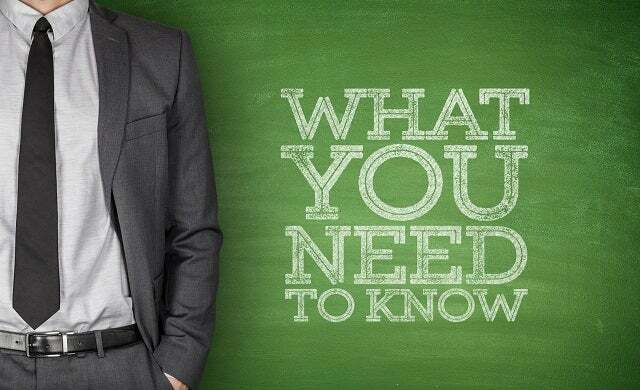 Advanced business degrees can help, along with past experience within your chosen industry, but no matter what type of business you decide to start, these core issues will be a significant part of it. Knowing them can allow your business to rise far beyond your original expectations.